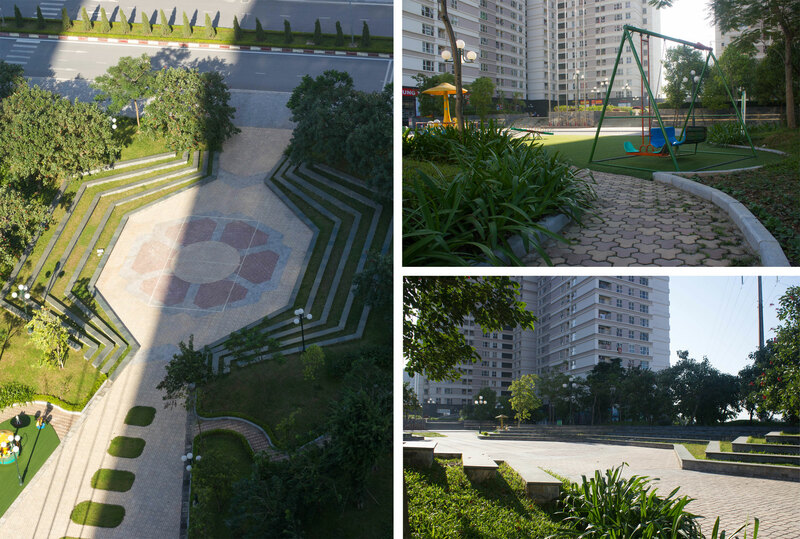 This landscape project is park of Duong Noi urban area is designed by Eden implementation is park of Duong Noi urban area at the end of 2012. Entering to the space in the park, people will walk to a completely different and unique world. Going through the large square like a stage , people would be gently led to integrate into the main landscape with accents are waterfall. Structured layers by the difference between the two sides remains as 2 side seat auditorium, the grass in between the sitting as are blended in a relaxing activity. Moreover, the large and small trees entwined also the endless rhythm. Featuring straight stem, little deciduous exclusive designs have been partly reflected the intention of the authors of the harmony between the shape of the tree and in the shape of the work, has created unique, just make clean and the cool environment. Adding to the green color of plants is the honeycomb Module with colorful flower, making the space come alive, varied and interesting. When on the house overlooking the public space, people can easily recognize characterized by covered green carpet , the large and small playing multi-functional field, the plant flower beds or tubs are also create the scenic area, space suit every age. 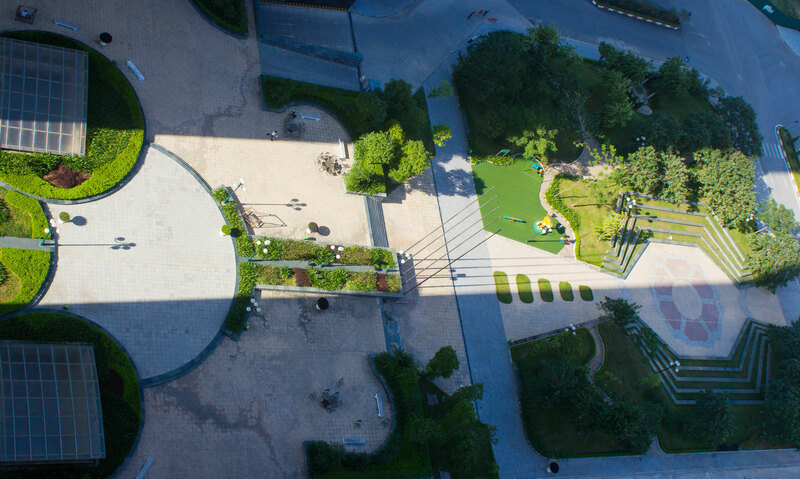 CT8 new urban park is a combination of harmonization and also very successful among people – works with nature. Since, We fully understand that: bringing nature to human, mounted to the people is simple but very necessary. In there, the human soul is naturally nourished , one of the corners of a place associated with humans will create a dedicated memory , keeping the feeling and impression truly unforgettable.